Here’s what’s happening in the world of television for Tuesday, October 24. All times are Eastern. 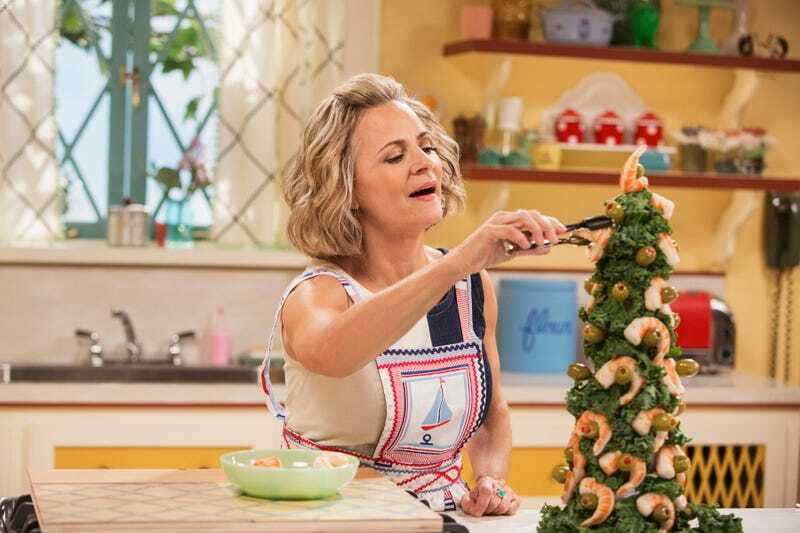 Now, that persona is receiving the spotlight it deserves: At Home With Amy Sedaris, starring Sedaris as the pathologically sunny face of her own lifestyle program. Like HGTV as reimagined by Wonder Showzen (At Home comes to us from the production company responsible for Wonder Showzen, PFFR), the show finds Sedaris (in and out of character) playing host to guests like Stephen Colbert, Paul Giamatti, Jane Krakowski, and Peter Serafinowicz, offering honest-to-goodness homemaking tips along the way. Later today, Danette Chavez offers her take on those tips, while Gwen Ihnat’s interview with the At Home host explores the roots of her craft fascination. Snoop Dogg Presents The Joker’s Wild (TBS, 10 p.m.): The World Series is also starting tonight, but as enticing as that Dodgers-Astros match-up is, we couldn’t simply pass up an opportunity to put the new version of The Joker’s Wild in the “wild card” spot. Snoop Dogg fronts this, a different strain of TV revival, where knowledge is king, lady luck is queen, and Snoop wants you to win 25,000 in green. "I was a boozer, a user, and a recommended story"